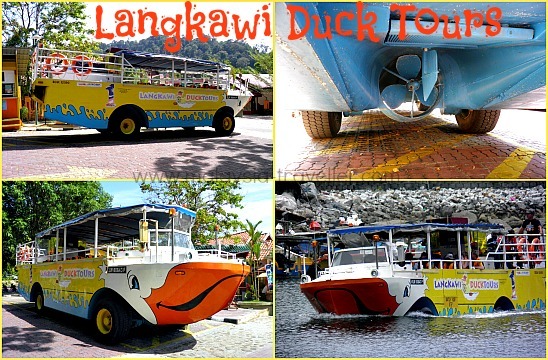 What are Langkawi Duck Tours? 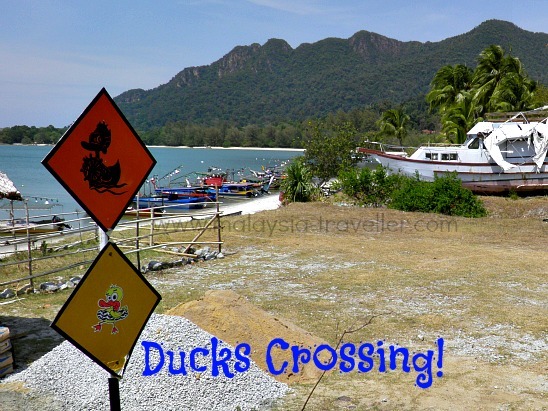 If you have never experienced an amphibious vehicle ride before, Langkawi Duck Tours is a good place it give it a try. The vehicle is part bus and part boat with a hull-shaped chassis equipped with a propeller and rudder in addition to regular wheels for travelling on land. The name Duck originated from the DUKW amphibious vehicle which was designed for military use. 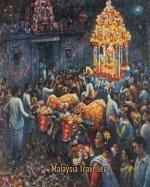 Many have been adapted for tourism purposes in places like London, Singapore, Melaka and now Langkawi. The duration of the tour is 45 minutes, about half on land and half on the sea. Although the vehicle is designed for travelling on both and water, in truth it does not look very comfortable on either. On land it is a long and wide vehicle that has to be manoeuvred very slowly on Langkawi's narrow roads while on sea it looks ungainly and is not the fastest of vessels. But this doesn't really matter when you are on holiday and not in a hurry. The slow ride gives passengers a chance to enjoy the lovely scenery from an elevated seating position. Where Does it Go From and To? 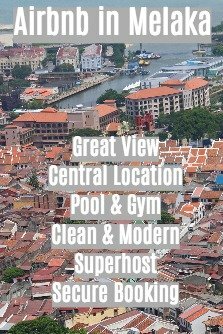 The tour starts and ends at the main entrance of Oriental Village (close to the Cable Car Station). The ride travels very slowly on the road from Oriental Village to a slipway close to the Danna Hotel, a distance of around 2km. Near the slipway, which is located on Pantai Kok, is where the Summer House scenes in 1999 version of 'Anna and the King' were filmed. There the Duck splashes into the sea and heads out beyond a man-made island before turning into the marina at Telaga Harbour Park. The boat makes a circuit of the marina before heading back out of the harbour and returning to the slipway. As the Duck drives back onto land, the driver spends 5 minutes or so hosing down the underside of the vehicle to remove corrosive salty sea water from all the metal parts. The Duck then drives back to the start point at Oriental Village. Tours run from 9am to 6pm. Tours will only depart once they have the minimum number of 10 passengers per trip. When I went, the notice board said the tour would depart at 11.15am but because they did not have enough passengers, they delayed it to 11.30am which was slightly annoying although I can understand why they have to do that. The Ticket Kiosk is located at Oriental Village main entrance. If you haven't tried a Duck tour before I think it is a worthwhile experience. 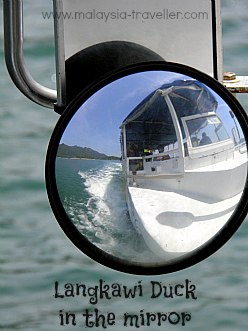 The scenery is nice and you get a chance to view a part of Langkawi from the sea.